This was my first job site in Kyoto — the perimeter walls of Nijo Castle, a World Heritage Site. Shikkui Asahara had a 12-man crew applying the finish shikkui lime plaster to the solid, thick earthen walls that sit atop boulders making up the walls that rise out of the mote. 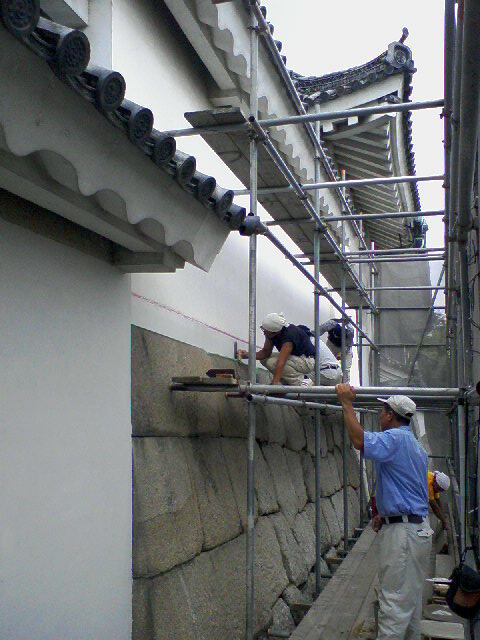 This crew’s sites are very unique, and very informed, training grounds for Japan’s tradition of plastering.